It was not long ago that the mention of Canada's Arctic evoked images of a hushed frozen wasteland, desolate and impenetrable. Now, the Canadian North brings to mind Canadian diamonds, some of the world's most beautiful and scintillating treasures. Maple Leaf Diamonds™ are mined at the Ekati™ mine, Canada's first diamond mine, located in the breathtaking Northwest Territories. These superb stones are among the highest quality found anywhere in the world and each is laser engraved with a tracking number, the CanadaMark™ symbol and the Maple Leaf insignia. 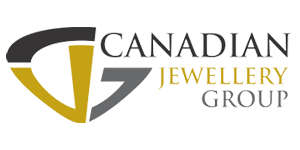 This allows your diamond to be traced from the mine, through all stages of the refinement process, and ensures that the diamond is certified to be of Canadian origin. Every Maple Leaf Diamond™ also comes with an individual Certificate of Origin bearing its unique tracking number.